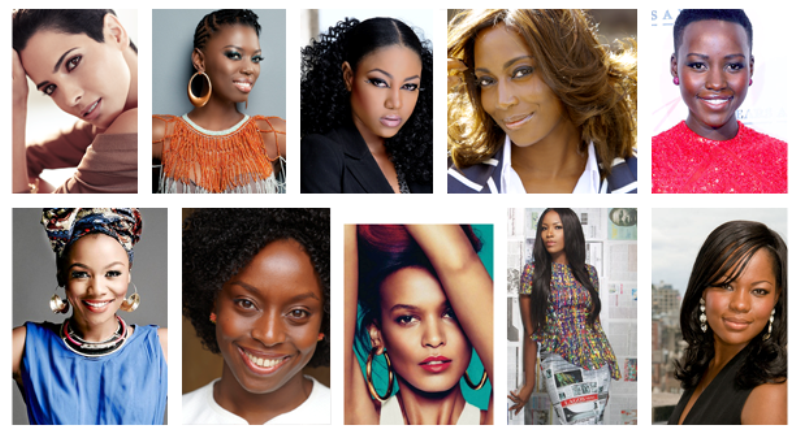 Home / Featured / Zen Magazine’s Top 10 African Women of the Year for 2013! Zen Magazine’s Arinze Nwokolo & Oma Areh complied their top 10 African Women of the Year for 2013, and we thought it well to bring it to you first hand. 2013 might have been the year of Lupita Nyongo, but it was also the year that saw many other actresses, models, singers, and CEO’s shine bright via their various missions and accomplishments. We’ve gone through the year and put together a list of our top 10 African women of the year for 2013. These are the women who have driven change via their respective fields, the people we have been talking about on social media, and the women who inspire millions worldwide. Without further ado, here is our list in no alphabetic order. 10. Coming in at number 10 on our list is a South African woman whose name commands respect across the world. Born on the 25th of June in 1987, Bonang Matheba is a gorgeous radio DJ, TV presenter, reality show host, MC, Brand Ambassador and fashion designer known for her infectious smile, electrifying personality and fabulous sense of style. Bonang made history last year in June when she became the first African to be the Face of Revlon outside of the United States Of America, joining other starts like Halle Berry, Olivia Wilde and Emma Stone. It was the first time Revlon ever considered an African star as an ambassador and it’s a first of many as Bonang is a woman known for opening doors. 9. Short-haired, gorgeous Hanaa Ben Abdesslem was born into a traditional conservative Tunisian family where modelling wasn’t really your everyday dream career. Through the various challenges she faced and uncertainties, today Hanaa is 1 of the most sought-after fashion models in the world and has been featured in fashion magazines across various continents. In 2012, Hanaa became the 1st ever African model to become the new spokesperson for cosmetic line Lancôme, and is 1 of the very few top models who has worked with international designers like Vivienne Westwood, Ralph Lauren, Anna Sui, Oscar de la Renta, and Jean Paul Gaultier. Last year, the beautiful 23 year old model got deeply involved in the development of her own country by supporting the United Nations’ aid project programme for Tunisia and being the spokesperson for NGO’s like Esmaani and YEDA, 2 organizations whose common interest is the youth of Tunisia and providing opportunities for them. 8. It was a big year for singer/songwriter LIRA, who started 2013 in a magical way with her performance at President Obama’s Inauguration Ball in January. Even before her Rise Again – The Reworked Hits Collection album dropped in the United States, we were already singing along to hits like Phakade, Rise Again, Feel good and Ixesha. LIRA is the first African artist to release a full HD DVD in Blu Ray and she is still the highest selling vocalist in South Africa to this very day. She has released 7 platinum selling albums on Sony Africa: All My Love in 2003, Feel Good in 2006, Soul in Mind in 2008, Live in Concert; A Celebration in 2009, Return to Love in 2011, the Captured Tour in 2012 and most recently this year, the Rise Again The Reworked Hits Collection in April, 2013. She is a superstar singer who inspires millions daily via her soulful sound and she is also incredibly down-to-earth on social media. 7. Ghanaian actress, model, film producer and entrepreneur, Yvonne Nelson is by far the most famous Ghanaian woman in 2013 according to our research. Yvonne had an amazing year beating other top Ghanaian divas like Yvonne Okoro, Nadia Buari, Jocelyn Dumas, Lydia Forson and Jackie Appiah. For starters, she is the only Ghanaian actress this year to get verified on Twitter and if you are internet savvy, you would know that’s a big statement to get verified by Twitter. When it came to award nights, not only did she look glamorous on every occasion, she also walked home with a few awards. For example, at the 2013 City people Awards held in Lagos, Yvonne walked away with 2 awards for the Hottest Ghanaian Actress in Nollywood and Best Ghanaian movie for the movie “Single and Married”. Next was her commanding display at the 2013 ZAFAA Global Awards held in London where the actress walked away with 7 awards. 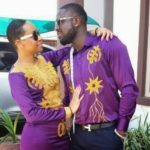 Although people “especially a few bloggers” love to talk about her previous relationship with superstar singer Iyanya, the truth is everyone in the media couldn’t stop talking about Yvonne Nelson in 2013. 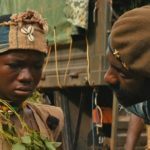 She has demonstrated herself to be an excellent communicator and an important voice in the movie industry right here in Africa. 6. According to Alexa, Linda Ikeji’s blog is one of 2013′s most visited blogs in the world. The founder, Linda Ikeji is a former model who got inspired to get into blogging in 2007 to share things she loved with the world. 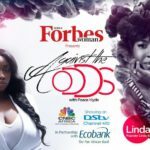 Now sitting at the pinnacle of blogging in Nigeria, Linda is currently the most informed blogger in Nigeria commanding the big bucks from corporate brands and artists across the industry who want to promote their contents to her network of followers. Her blog shares live news updates from across the world and what sets her apart from the competition is her humility, her spontaneous sense of humour and her honesty. She is inspiring a new generation of bloggers and we love her zeal for her craft. 5. In the international business community, Bisila Bokoko is 1 of Africa’s most inspirational women who is breaking new grounds not just for herself, but for millions of people worldwide. For nearly 7 years, Bisila ran the Spain-US Chamber of Commerce in New York as it’s Executive Director and her duty as the Executive Director to the Spain-US Chamber of Commerce was to foster trade deals and to create pathways for businesses looking to enter new international markets. Leaving her role at the Spain-US Chamber of Commerce wasn’t an easy decision for Bisila but it was 1 she had to make because of her love for her NGO “BBALP“. As founder and chairperson of The Bisila Bokoko African Literacy Project (BBALP), an NGO whose mission is to promote literacy among the African people by building libraries in rural communities across Africa, she is determined to make sure the next generation of African kids get a chance at having the basic education foundation and, giving them a golden opportunity at fulfilling their dreams. Apart from being an entrepreneur, Bisila is also the face behind a new wine, Bisila Wines. She also sits on the advisory board of many African, European and American organizations, such as: Macdella’s Coooper Foundation, Feacoba, African Development Institute, Empretec (UNCTAD-Geneva), Fashion for Development, Africa Fashion Week NY and a few other brands. She is a business leader who delivers, is an inspiration for all women trying to break through the glass ceiling and, is a woman committed to serving the people. 4. Any woman who can appear 3 times on the cover of US Vogue is an exceptional woman. Right? Well, Liya Kebede is not just an exceptional woman, she is inspirational! Born on the 1st of March in 1978, Liya Kebede is an Ethiopian supermodel, an accomplished actress, a fashion designer and a maternal health advocate whose name in the modelling industry is legendary. Liya has worked with the best in the business and has featured in ad campaigns including those for Shiatzy Chen, Gap, Yves Saint-Laurent, Victoria’s Secret, Emanuel Ungaro, Tommy Hilfiger, Revlon, Dolce & Gabbana, Escada and Louis Vuitton to name a few. Her clothing line, Lemlem was founded in 2007 and the brand produces Ethiopian hand-woven cotton scarves, women’s clothing and children’s dresses made by traditional artisans in Ethiopia. Now in her 30′s, Liya is more focused on her philanthropic work through her NGO, the Liya Kebede Foundation. In 2013, Liya was named one of Glamour (magazine)’s Women of the Year recipients for her philanthropic work through her Foundation. The LKF partners with the Ethiopian Government and the Ethiopian North American Health Professionals Association (ENAHPA) to equip the Maternal Child Health Center (MCH) in Hawassa and, train its growing clinical team in comprehensive emergency obstetric and newborn care. Liya has taken the lead role in the fight for maternal healthcare and she will always be among the first women to stand up and step forward for policies that promote improved maternal health and safe motherhood for women not only in Africa but across the world. 3. Lupita Nyong’o’s fan base exploded massively this year after she portrayed Patsey in Steve McQueen’s 12 Years A Slave movie alongside Chiwetel Ejofor. Since the movie hit the cinemas, Lupita has been nominated for several awards including a Golden Globe Award for Best Supporting Actress, Satellite Award for Best Supporting Actress and she recently received double nominations at the Screen Actors Guild Award for Outstanding Performance by a Female Actor in a Supporting Role and for Outstanding Performance by a Cast in a Motion Picture. Lupita was born in Mexico City, Mexico in 1983 to a Kenyan family and was raised primarily in Kenya. On the red carpet, Lupita is a rising fashion star, and in our books, one to watch in 2014. 2. In December 2010, the MacDella Cooper Foundation opened the first school in Liberia to offer free tuition, including room and board, to 55 students. 3 years after the opening, the MCF is growing stronger by the minute and the NGO is getting huge reviews worldwide for all the humanitarian work they are doing. Founder and CEO of the MacDella Cooper Foundation, MacDella Cooper, is a philanthropist, activist, humanitarian, fashionista and proud Liberian who has been making strides for justice via her foundation. Her NGO is dedicated to providing the youth in Liberia, especially orphans and abandoned children, an education and the basic necessities like food, clothing, and shelter. MacDella like so many other Liberians born in the 70′s witnessed the war in Liberia and is determined that no such thing ever repeat itself again. Through her organization, young kids are now having a fighting chance at getting an education in Liberia. The country is still growing from the civil war days but one thing is certain and that is MacDella Cooper is doing everything in her power to bring change to her country one child at a time. We commend her for her leadership and vision and urge more people and organizations to support her foundation. 1. No countdown would be complete without the poetic Chimamanda Ngozi Adichie, and 2013 was definitely an incredible year for the award-winning writer and inspirational speaker. Officially the only female African writer to have worked with the talented Beyoncé Knowles this 2013, Chimamanda has in different turns, evolved to become a heroine for women across Africa and the world. After the successes of her debut novel ‘Purple Hibiscus’, her Biafran civil war novel ‘Half of a yellow Sun’ which has been adapted into a movie and her collection of poignant short stories ‘This thing around your neck’, Ms Adichie returned in fiery form in 2013 with her gripping story of life as a Nigerian American immigrant ‘Americanah’. And Adichie continues to prove the critics wrong with her masterful weaving of an unusual narrative around hair, love and a protagonist ‘Ifemelu’ who is not entirely likable. The BBC certainly thinks so, naming her Book the No 1 book to be read in 2013. But the icing on top of the cake was Chimamanda’s entrée into mainstream pop-culture with the feature of her TedX speech in Beyonce’s new feminist anthem ‘Flawless’. This has truly been the year for the firmly outspoken author and role model. So there you have it; Our top 10 African women of the year for 2013. I know a few people would disagree with this list and will be wondering why we didn’t put other women like Omotola Jalade Ekeinde, Candice Swanepoel, Genevieve Nnaji and Charlize Theron but the truth is so many African women had an incredible year in life and business and it was hard selecting these 10 women. We are confident that our final 10 didn’t just have an incredible year, they each had a truly historical life changing year. Each woman demonstrated that with courage and perseverance, you can overcome any adversity. They are inspiring millions daily and in 2013, they rocked the world. Watch out for more great things from each of these incredible women as they continue to motivate, and inspire millions in 2014! Who would rule the Ghanaian scene this 2014…Yvonne Nelson or Nadia Buari? Iyanya set to star in Yvonne Nelson’s movie?